Yup, B is at it again! Travelling the world without me and this time it's to Cannes for the annual MIPCOM event. OF COURSE I am green with envy but no matter how many buckets of tears I cry, there is simply no way for me to tag along! The last time B left me behind was when he went on his EURO trip! I did not mind that one so much because it was only for a few days but this time around he's going away for a week and he will be in Cannes, one of most beautiful cities of the French Riviera! Meanwhile, I am left behind here in dreary Malaysia so if that is not enough reason for me to sulk in envy, tell me what is! So naturally B feels upset for me that I won't be able to tag along so he told me to start planning our next vacation while he's away. That ought to keep me going until he returns home with lots of goodies and perfumes for me. And lately, I've been in a very beach-y mood. The last time we visited an island was on our honeymoon so I am thinking of an island getaway. 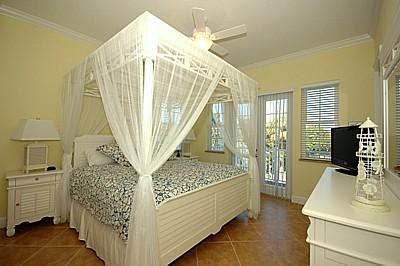 Have you heard of Anna Maria Island Real Estate? Specializing in waterfront properties, rentals, beach homes and island homes since 1970, this agency offers vacation lovers a complete range of accommodation for the perfect island holiday. 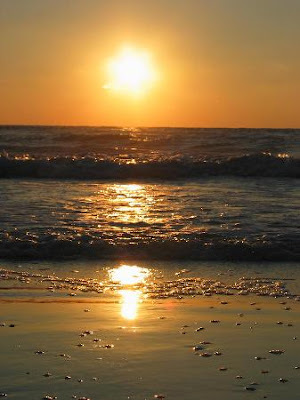 ANNA MARIA ISLAND is a perfect vacation paradise for beach lovers. Imagine warm, white sand filtering between your toes as you walk barefoot along the beach; enjoying a picturesque sunset and the soothing sensation of gentle waves lapping at your feet. 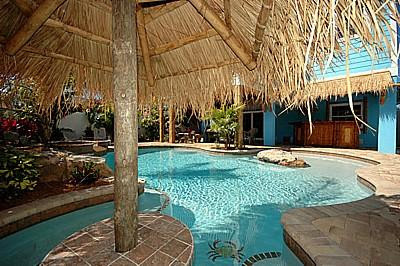 Each island home on Anna Maria is fully equipped with a spacious kitchen, air conditioning with many homes featuring private heated pools, state-of-the-art appliances, entertainment equipment and most importantly - high speed internet access so I can still do a little blogging while on vacation! Whatever your fancy, this magical island promises you all the excitement and attractions you need to enjoy a truly wonderful time with your loved ones. From luxurious and sophisticated to economical and charming, select your desired accommodation and start planning the most memorable getaway on the beautiful Anna Maria Island. And while you plan your vacation, I am going to start making my shopping list for B to take along with him. I'm already missing my baby but I hope he has wonderful time in Cannes! Mariuca I just came back!! what a nice place!! 8-) 8-) hmmm when is B going to Cannes? Wah so late u got home! I just started my ec round…. He’s going soon Mon huhuhuhuhuhuhuhuhuhu…………. just now i was really rushing like hell hahahhaahah! ohhh dont worry we're here to teman u hehe! I am determined to drop 900 today hohohoh! Oh TTDI! I like TTDI too, u wen fren’s place or makan2? me too I am determined to drop 300 LOL! Yay to playing pool, so fun! Glad u had a fun night out with R, he oso cuti Raya right? Oh no got so many tabs open now…coming!! This weekend def busy for me…. How many days R cuti? Mon and Tues? Ok enjoy ur long weekend then Mon..shop till u drop! wah marzie, i can imagine you have a restnrileksing time under that bamboo shade with your lappy with servants serving you a nice cup of ice coffe latte. Whoaho!! BUlan Ramadhan sempat pulak rizal mengeCHoP banyak2. Rizal dan ucapkan Selamat Menyambut Hari Raya AidilFitri, Selamat Menyambut di samping keluarga Tersayang. Maaf Zahir Batin jika ada salah dan silap Yer. 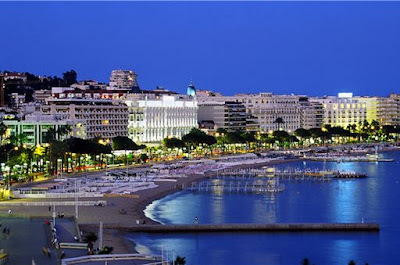 He he bestnye travel blog…yup he’s going off again without me Rizal, bestnye Cannes! Good luck with your shopping list. Nevermind.. have a field day planning your next holiday ok.. and this places looks awesome! Happy Hari Raya LJ, I oso still cleaning here, neverending la kan! And hi here too LJ! B loves the beach but that’s cause he can swim like a fish unlike me huhuhuhuhu…. U poor thing Ayie, how is it being prego btw? How does it feel eh???? Thanks Ayie and I’m glad B is already home. Time to start planning our next vacay woo hooo! Bestnye I gaya the bold n the beautiful Rizal hahahhahahhha what a perfect picture!!!! Thanks Tekkaus, he’s home edi so now enjoying my souvenirs lol! !